Precolumbian Vessel, Sotheby's, Barbier-Mueller Sale Paris. A March 2013 Sotheby’s Paris auction sale of Pre-Columbian art from the Barbier-Mueller Museum should have been an “Ah-ha!” moment for U.S. museums and collectors. The controversy surrounding the auction starkly illuminated the legal uncertainties faced by U.S. museums and private collectors when they buy art overseas. In the weeks prior to the Paris sale, four Central and South American countries laid claim to pre-Columbian artifacts from the Barbier-Mueller Museum collection. The governments of Peru, Mexico, Guatemala, and Costa Rica voiced objections to Sotheby’s and sent diplomatic notes to the government of France. 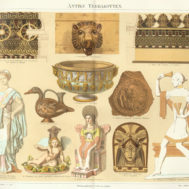 All four governments alleged that the artifacts in the Barbier-Mueller collection were illegally exported and asked the French government to stop the sale. The government response was tepid and the auction went on as planned. A French diplomat, speaking anonymously, stated that authorities had checked the Interpol database and International Council of Museums Red List and found none of the sale items. The question facing U.S. museums and art collectors is – if source countries make legal claims based upon national ownership going back several hundred years, is there such a thing as “good provenance” anymore? Clearly, the Association of Art Museum Directors’ (AAMD) attempts to tie acceptable provenance to the 1970 signing of the UNESCO Convention has no relevance either to source country claims for repatriation or to a museum’s ability to lawfully import art into the United States. 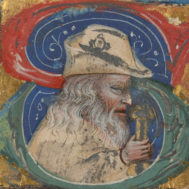 The artworks in dispute were not only well-known; many were famous and well-traveled. The Barbier-Mueller Museum of Geneva, established in 1977, holds over 7000 works and is one of the world’s best known collections of ancient and ethnographic art from Africa, Asia, Oceania, and the Americas. In 1997, the museum’s Pre-Columbian collection was moved to a branch in Barcelona. However, the Barcelona museum was not as popular as had been hoped. A planned sale to the Spanish government of the collection fell through and the museum closed its doors in September 2012. The Pre-Columbian collection was boxed up and sent for auction at Sotheby’s Paris salerooms. Attendance at the auction was smaller and sales were fewer than anticipated. At least some U.S. buyers may have thought through the possible legal consequences and decided to stay home. While several world records for Pre-Columbian art were set, 165 of 313 lots failed to sell. Sotheby’s Paris president-director Guillaume Cerutti announced a total sale of €10.3 million, far short of the pre-sale estimates of €14-18 millions, asserting that this was a satisfactory result under the circumstances. The sale highlighted how mutable and easily undermined the concept of “good provenance” is today, and how little meaning source countries ascribe to export prior to the 1970 UNESCO Convention. A few items in the Barbier-Mueller Pre-Columbian collection had been acquired in 1920 or before, and the majority were purchased between 1950 and 1979. One hundred of the approximately three hundred items in the collection were acquired between the 1980s and early 2000s. Nonetheless, the source countries claiming artworks as their national property drew no distinction between works that had been in the collection for a decade and those which had been owned by the Barbier family for more than 90 years. 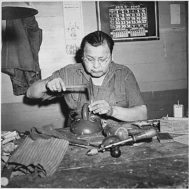 Mexico claimed fifty-one items as authentic antiquities subject to Mexican laws prohibiting export; the rest of the materials identified as ancient, it stated, were “handicrafts.” Costa Rica made a general objection without specifying objects, and Guatemala claimed thirteen pieces. Peru’s claim in the Barbier-Mueller auction was based upon a hitherto unknown decree, Decreto Supremo N° 89 del 2 abril de 1822, that according to its summary, states that ancient Peruvian materials became the property of the nation in 1822. Prior Peruvian government claims have often rested on the 1929 Ley Nº 6634 del 13 de junio. Never mind that subsequent decisions and changes to Peruvian law indicate that such broad nationalization of private property was unconstitutional. Under the dominant U.S. legal regime, and based upon a future court finding this law to be a clear declaration of national ownership, no U.S. museum could lawfully acquire or possess any Peruvian art and artifacts, unless the artifacts left Peru more that 188 years ago. The source country claims also show that international treaties such as UNESCO are largely irrelevant to demands for repatriation from public sales of artifacts. All the claims against items in the Barbier-Mueller collection auction were based on domestic laws and decrees in the source countries, and none bore any relation to the 1970 date of the UNESCO Convention. Few countries, regardless of the international treaties they have signed, take cultural property matters as seriously as the United States. The question facing potential U.S. buyers was, would U.S. Customs and Border Protection seize purchased artworks on entry? Or would the U.S. government act on behalf of a foreign nation to civilly or criminally prosecute subsequent owners, based on these foreign national ownership laws? If, for example, a U.S. buyer purchased an artwork from Peru, what law would apply to its importation into the U.S., and what date of export from Peru would that U.S. law depend upon? The answer to the first question could be either the Convention on Cultural Property Implementation Act or the National Stolen Property Act. The answer to the second could be 2002 or 1822. Only a court’s decision could determine which law and what year applied. Under the CPIA, an object that can be proved to have been outside of the source country for at least ten years may be lawfully imported into the U.S. It will ordinarily fall within the provisions of the CPIA that require that an object not be freshly looted or recently removed. Since many (though not all) of the objects in the Barbier-Mueller Museum collection had belonged to the museum or to another known collection for decades prior to the sale, many items fell within the category of objects that could be lawfully imported under the CPIA. In the case of Mexico, a U.S. court has already held that a 1972 Mexican law was a valid ownership law for the purpose of the NSPA in the McClain case. Simply speaking, items that left Mexico before 1972 should be able to be brought into the U.S. lawfully, regardless of which U.S. law was applied. Still, U.S. museums and collectors have no way of knowing whether the laws of other nations would be held to be ownership laws (in which case artworks could be deemed stolen), or export laws (when they could not). Other factors greatly increase the risk and uncertainty for U.S. museums and private collectors that buy overseas. In order for there to be a violation of the NSPA, there must be scienter, knowing wrongdoing. One would surmise that there is no knowing wrongdoing in purchasing an object at a lawful public sale in Paris and importing it into the U.S. Unfortunately, one would be wrong. U.S. Customs and Border Patrol have increasingly used civil forfeiture and seizures in an ad hoc cultural property policy. Civil forfeiture cases don’t require knowing wrongdoing. If an item can be seized from the hands of a collector or a museum to which the item is later gifted, without even meeting the requirements of the underlying criminal law, what protection do museums have? Among recent cases are the St. Louis Art Museum’s Ka-Nefer-Nefer mummy mask, the seizure of a Cambodian sculpture from Sotheby’s, and United States v. One Tyrannosaurus Bataar Skeleton, in which the U.S. government filed a complaint for the civil forfeiture of dinosaur fossils alleged to have been exported in violation of Mongolian patrimony laws. In each case, the legality of acquisition and possession by U.S. citizens rested on source country ownership laws rather than independent decisions by Congress in setting U.S. law. First, museums should now be clear that the legal parameters for acquisition and possession have nothing to do with the 1970 UNESCO Convention – the international treaty that the Association of Art Museum Directors (AAMD) avers is the foundation and bulwark of its current accession policies. Second, museums must also acknowledge that the conflict between Congressional policy (the CPIA) and U.S. criminal law (the McClain line of cases) creates enormous legal uncertainty that will continue to harm U.S. institutions and the public they serve. Finally, U.S. museums and collectors may now find themselves confined to domestic sources. Institutions and individual collectors who understand the inherent conflict in U.S. laws regulating importation of cultural property must either cross their fingers and hope – against the evidence – that federal authorities will be guided by the reasoned terms of the 1983 Cultural Policy Implementation Act or else they must withdraw altogether from the overseas market. U.S. museums that were eager to acquire outstanding examples of Pre-Columbian art from the Paris sale may find that there is a different legacy from the now defunct Barcelona Barbier-Mueller Museum – a stronger possibility that there will be “Closed” signs on the doors to their own collections of ancient art from the Americas. It should be noted that the Interpol database has very few Pre-Columbian objects, none of which appear to have been listed by source countries, and the ICOM Red List shows types of objects, often from source country museums rather than actual stolen items. See John Henry Merryman, Limits on State Recovery of Stolen Artifacts: Peru v. Johnson 1, International Journal of Cultural Property / Volume 1 / Issue 01 / January 1992, pp 169-174. 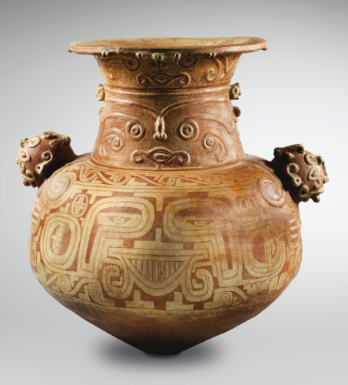 Three lots from a 1994 Sotheby’s auction were repatriated to Peru in 1996 after a seizure based upon the restrictions on entering archaeological materials from Sipan pursuant to the CPIA. United States v. McClain, 545 F.2d 988, 1000-01 (5th Cir. 1977), reh’g denied, 551 F.2d 52 (5th Cir. 1977); aff’d in part, rev’d in part, 593 F.2d 658 (5th Cir. 1979); cert. denied, 444 U.S. 918 (1979). United States v. Mask of Ka-Nefer-Nefer, No. 4:11CV504 HEA, 2012 WL 1094652 (E.D. Mo. Mar. 31, 2012), mot. for reconsid’n denied, 2012 WL 1977242 (E.D. Mo. June 1, 2012), United States v. A 10th Century Cambodian Sandstone Sculpture, Currently Located at Sotheby’s in New York, New York, S.D.N.Y. 12 Civ. 2600, and United States v. One Tyrannosaurus Bataar Skeleton, No. 12-cv-4760 (S.D.N.Y. Sept. 7, 2012, respectively.